THIS ONE WON'T LAST !!! *Incredible mountain views, Walkout basement, Large professionally landscaped yard with the artificial turf, Corner Lot, Solar Panels...Gorgeous 4-bedroom, 3-bathroom has their 5 piece master bath with tile granite countertops, tile floors and a large walk in closet in the upper level, 2 car garage, community pool and is located in Cherry Creek School District which is considered the most desired school district in Colorado. 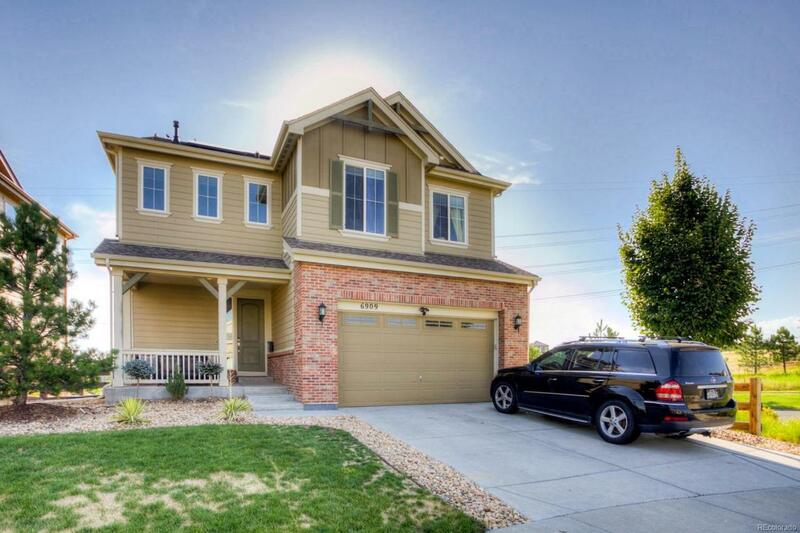 This amazing home is ready to be moved in and your family will enjoy the spacious backyard, which has incredible mountain views and backs up to an open space, walkout basement, large professionally landscaped back yard with artificial turf, corner lot and roof installed solar panels. Close to park area, Walking distance. Great location, near 470, 2 minutes to Southlands shopping center, and restaurants. Come and take a look at this beauty Dont miss out!! !